FIRE RESTRICTIONS ARE STILL IN FORCE! 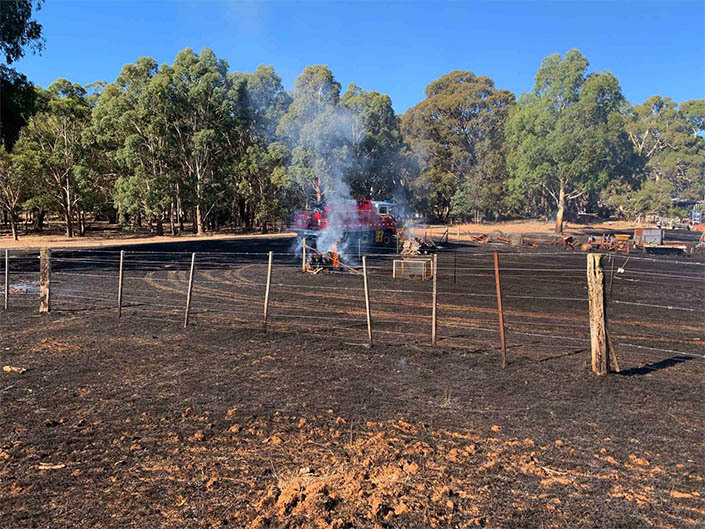 At 3.50 this afternoon Woodend, Newham and Hesket were called to a fast-moving grass fire near Hanging Rock, endangering a shed. 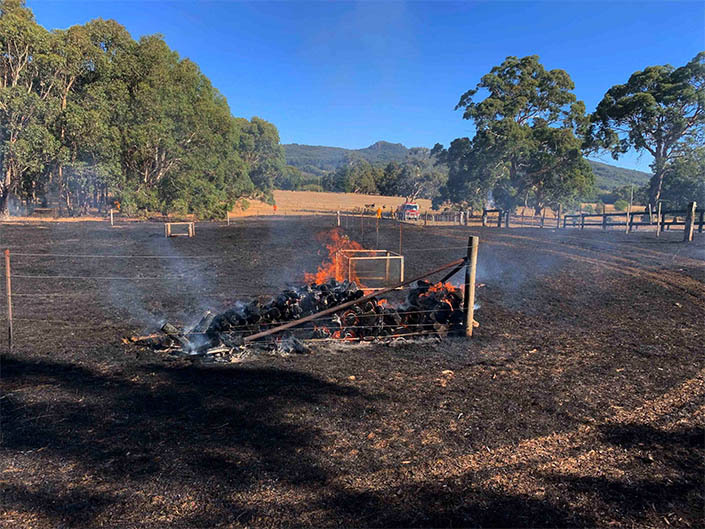 The fire was quickly brought under control, after around 5 acres were burnt, including several large wood piles. 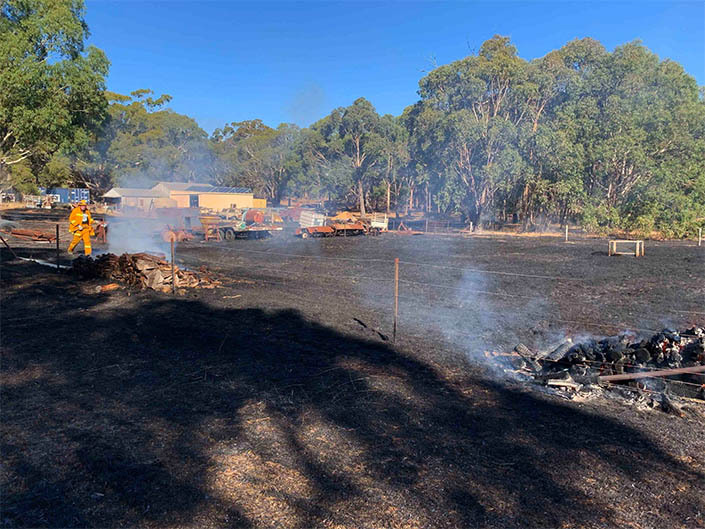 It is yet another reminder that Fire Restrictions are still in force, and under Zero Tolerance police must be called, possibly resulting in a hefty fine. A little more care would also see CFA volunteers not needing to be called our unnecessarily! © 2019 Woodend Fire Brigade.